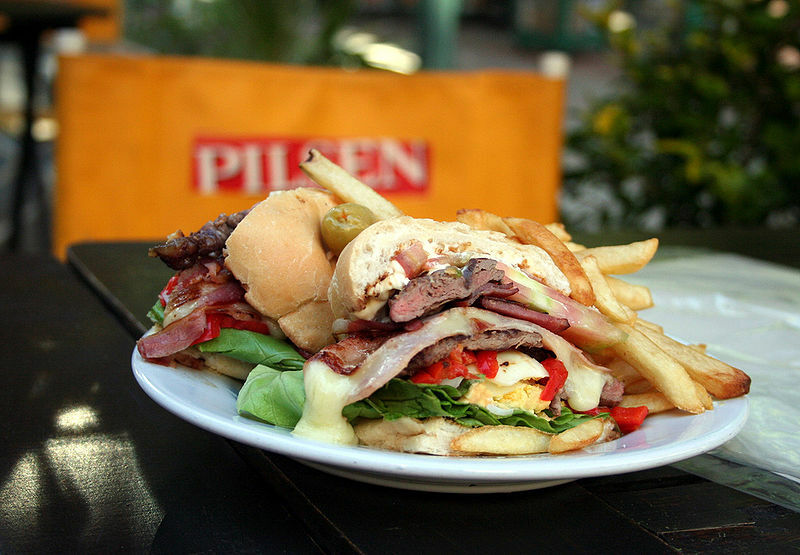 Chivito is the name of a sandwich-style national dish in Uruguay, and consists primarily of churrasco beef, bacon, mayonnaise, black or green olives, mozzarella and tomatoes, served in a bun with a side of french fries. Other ingredients might be added into the sandwich such as fried and/or hard eggs, red beets, grilled or pan fried red peppers, pickles and ham. 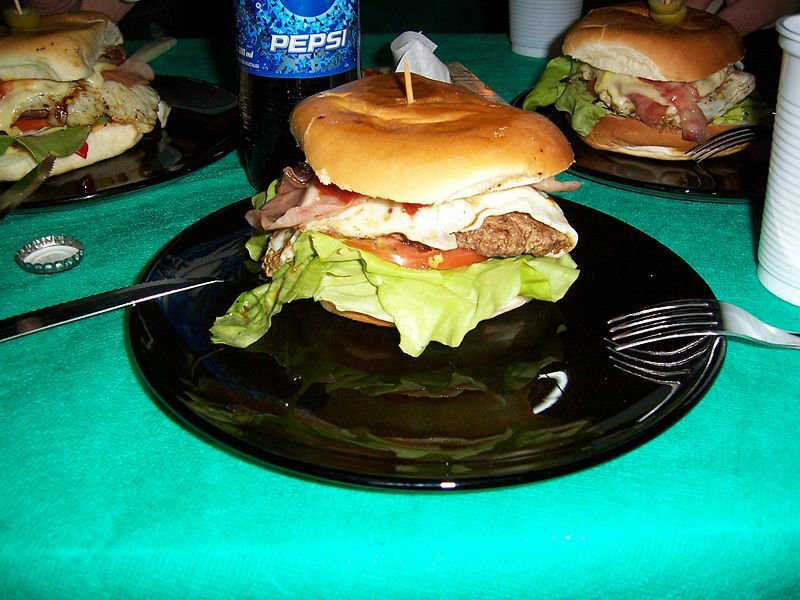 The Canadian Chivito (in Spanish Chivito Canadiense) is a variation of the sandwich, with the addition of Canadian bacon. Although generally served as a sandwich, the chivito can also be served as a chivito platter (in Spanish Chivito al Plato). The dish would be prepared as an open sandwich, without the bread. The dish is generally served with Russian salad and/or French fries.